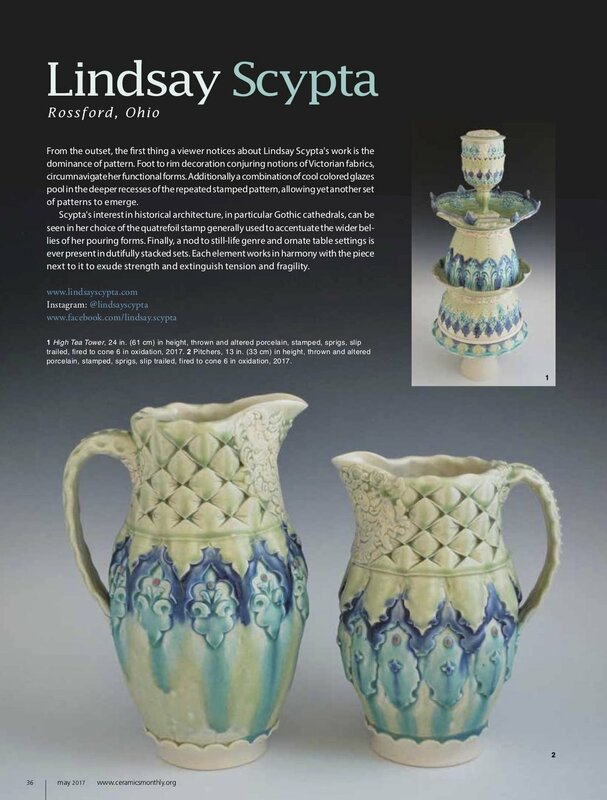 Lindsay Scypta Creating Traditions was originally published in the December 2014 issue of Ceramics Monthly, pages (38-41). Finding Perspective was originally published in Pottery Making Illustrated, Jul/Aug, 2017. Emerging Artist Feature was originally published in the May 2017 issue of Ceramics Monthly, pages (36). Clay Culture Franciscan Sisters was originally published in January 2017 issue of Ceramics Monthly, pages (24-26).